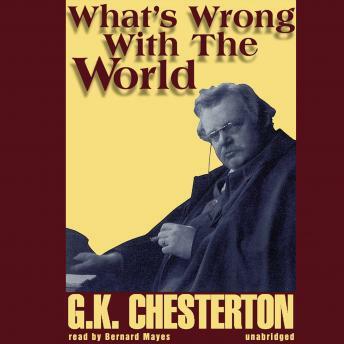 Chesterton possessed the genius to foresee the dangers of implementing modernist proposals. He knew that lax moral standards would lead to the dehumanization of man. In this book, he staunchly defends the family against those ideas and institutions that would subvert it and thereby deliver man into the hands of the servile state. In addressing what is wrong, he also shows clearly what is right, and how to change things in that direction.